Journalists, tour operators and resorts gathered in London today for the annual ABTOF and AtoutFrance ski conference – the official French ski launch for this winter season. Ski Famille won the ABTOF award for Best Innovation – for their absolutely brilliant idea (although not for the hot-housed kids!) of offering 2 hours of tutoring each day for children needing to prepare for exams. The Ski Club sampled over 14000 respondents for their 2014 Industry Report. The official launch of the report is next Monday 15 September. According to the Ski Club report, 71% of those who skied in France last season will return again this winter – the highest retention rate for any country. The report didn’t have much positive news for France, with the ‘efficiency of the lift system’ ranked lower than Andorra and ‘eating out’ ranked lower than in Eastern Europe. Flybe operates more routes from the UK to France than Air France, from five regional airports. The new Folie Douce opening this winter in St Gervais-Megeve will be the last in a French resort – but expect to see the first Swiss venue open next season. 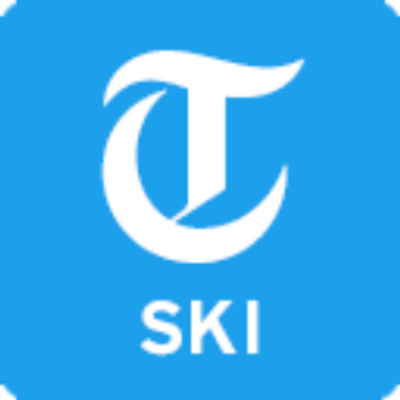 Alpe d’Huez has installed 71 new snow cannons on the Sarenne and lengthened the run, meaning the resort can now offer a 19km descent with guaranteed snow. LED lights on the snow cannons means the run will be open for night-skiing as well. In Les 2 Alpes you can ski a 2300m vertical drop in one run, from the top of the glacier at 3600m to Mont de Lans at 1300m. Tomorrow Crystal Ski release the 2014 Ski Industry Report, so watch out for our blog on that, or follow us on Twitter for live updates during the day. Hi Iain, I like the blog, good stuff!